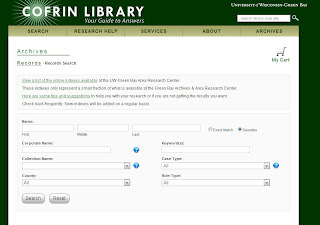 a3Genealogy: Great Lakes Research - Through Wisconsin? Thanks for the great words of recognition for our Archives program. We love to help people find their family roots. 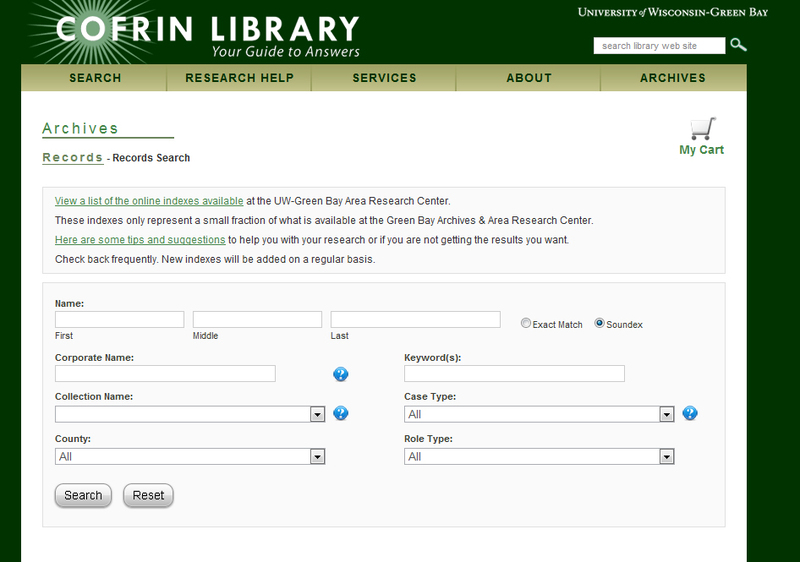 Just wanted to let you know that we added more online indexes to our website. You may now search for Brown County Probate case files; Kewaunee Circuit Court records; Calumet County citzenship records; and Oconto County Probate records.